Best Free Apps to Get the Best Deals | A Savings WOW! I had the pleasure of appearing on Windy City LIVE sharing some of the best free apps to get the best deals. You can use the Favado app to see what is on sale at the stores, along with the coupons that can be used to save even more money. It’s also easy to compare prices between stores. You may also use it to find lower prices to price match at certain stores. Use the Coupons.com app to find local deals (if you have your location settings turned on) and also find grocery coupons that can either be printed or added to your store loyalty card. If you have a wireless printer, you may even be able to print the coupons directly from your phone. Earn kicks on Shopkick when you make purchases using your connected credit or debit card and when you visit a store on the app. You can also earn kicks by scanning or purchasing select products throughout the store. You can then trade your kicks for rewards such as gift cards to select stores. Use those gift cards to reduce the amount you pay on your future purchases. These apps will give you cash back from your purchases when you either submit your receipts or link up your store loyalty card. Some of them may even have limited time bonuses. Submit your receipts on Receipt Hog to earn coins which you can then trade for Amazon gift cards or cash via PayPal. Use the cash or gift card you’ve earned on your following shopping trips to lower your final cost. – Use the Favado app to find the best deals on the products you plan to purchase. – Use either the Favado app or Coupons.com to print out coupons or load coupons onto your store loyalty card. – Use a store app to find more coupons, deals and rewards. – Use the Shopkick app when you enter the store (if it’s on the app) to collect kicks. Scan and/or purchase select products in the store to earn additional kicks. Link up your credit or debit card to earn even more kicks. – Submit your receipts to the cash back apps and Receipt Hog. Earn gift cards to use towards future purchases. 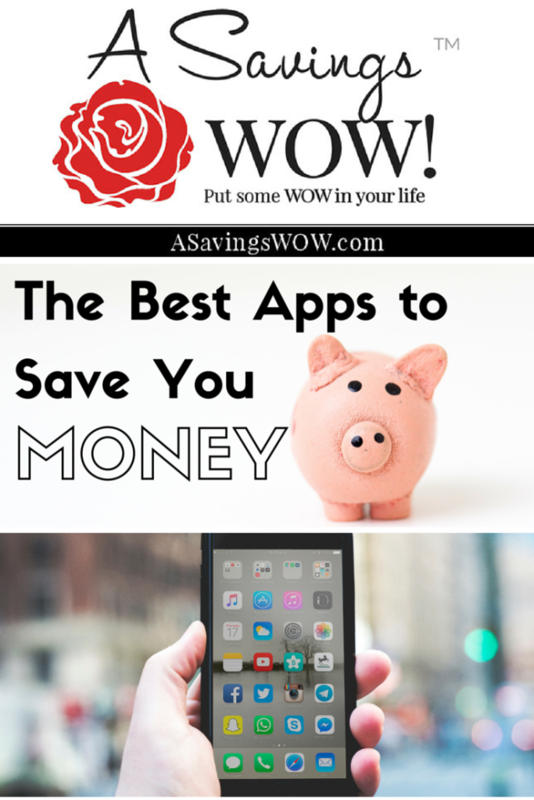 Which are your favorite money-saving apps?